Thursday, December 8: 3–5 p.m. While technology can greatly enhance teaching and learning, it can also make it challenging for faculty, students and staff to create an excellent teaching and learning environment. Senate is hosting an event that will provide information about the current state of technology-enabled teaching and learning at Dalhousie and give you the opportunity to discuss your views of its future at Dalhousie. Watch the video below (8 min) to learn more about what Dal is doing now. The video will also provide you with an overview of nine questions which will be the focus of the discussion on Dec. 8. Cookies and beverages will be available. Door prizes awarded. Mike started working at the Dal Libraries in October 2015 as part of the Library Information Technology Services team. 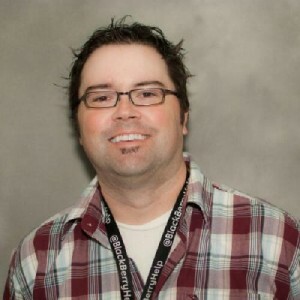 Before coming to Dal, he worked at BlackBerry for six and-a-half years in the role of social media technical support. Mike is a Faculty Support Specialist and he was hired to assist faculty and staff during the migration from Blackboard to Brightspace. Faculty and staff can call, email, or put in a ticket to receive one-on-one support for issues with Blackboard or Brightspace during this transition. Common questions that Mike gets are about course space, Grade Center, how to use groups, how to use tools (such as ePortfolios), and general technical inquiries. In addition to supporting faculty one-on-one, Mike has been instrumental in building self-help tools that allow faculty and staff to learn independently about Brightspace. Mike’s next project is to build self-help resources/tools for students. He will also soon be involved in delivering training sessions for faculty and staff. “Since being with the Instructional Tech team, I’ve met a lot of great people. It has been a great experience so far and I love coming to work every day!”said Mike.